The Group Clarke, Modet & Cº is the leader in Intellectual Property in Spanish and Portuguese speaking countries, thanks to its pioneering, innovative vocation for international expansion. Born in Spain in 1879 with the current structure dating back to 1892, being the result of the merger between Clarke y Cia., belonging to Alberto Clarke, and “Agencia General de Patentes y Marcas”, belonging to José Gómez-Acebo. 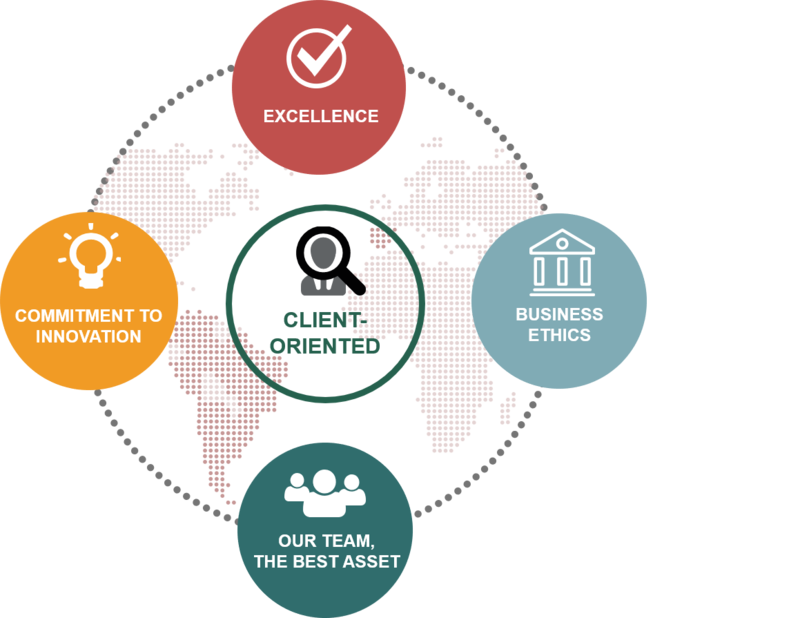 In the 40’s we started opening commercial offices to be closer to our clients and in the 60’s we embarked on our international expansion, opening branches in Venezuela, Brazil, Argentina, Portugal and Mexico. Thirty years later, we continued our deployment with the incorporation of the companies in Colombia, Chile, Peru and Uruguay. Throughout that time we also opened new commercial offices in the territories where the Group is present. The Alicante office (1995) has the peculiarity of being the operations centre of all our customers’ files with EUIPO. Thanks to that, today we have a unique structure that combines direct presence through our own companies in the 10 main Spanish and Portuguese speaking countries and an international network of experts serving the whole world. The key to our success: constant adaptation and anticipation of market needs to become a strategic ally for our customers, anticipating their needs through our own methodologies and innovative solutions placing us at the avant-garde of Intellectual Property. Being a global company with international presence, a pioneering leader in the strategic management of services related to Intellectual a Property assets. Constantly improving and expanding to offer our strategic partners the utmost excellence, provided by the best professionals. To encourgae society to be more innovative and creative by providing our partners/clients with integral counseling in the strategic management of theis Intellectual and Industrial Property assets, throughout the entire innovation process.